"I have decided that its time for me to retire as mayor. I have 32 years in as mayor and four besides that on City Council," Young said. "It's time to move on." 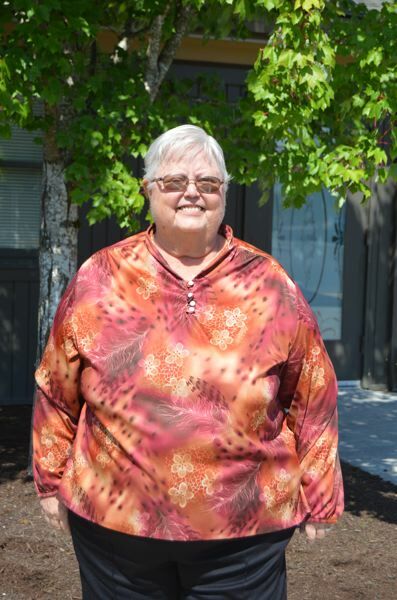 Young, who also works as the manager of the St. Helens Senior Center, said she decided this year, that it's time to step down, citing the need to focus on her health. In addition to retiring from her elected position, Young said she is also considering retiring from the senior center in early 2019. "I hate to step down from either one of them, but I think it's time," Young said. "I plan to try to take care of myself, for one thing. I've had numerous health episodes that I've had to take care of." Young was born in St. Helens and grew up in Columbia City. When she was a child, Young's father served on the City Council. While Young said she never aspired to be a publicly elected official like her father, when several friends asked her to run in the 1980s, she decided to do it. Young first entered the political arena in 1982 when she won a seat on the City Council through a write-in campaign. In November 1986, she was elected to the mayor's office. Young has won re-election to the position ever since. In her words, it was just something she couldn't give up. There was, however, an election season in 2014 when Young considered not running. It was the only time someone filed to run against her. "I felt like I could give somebody else a chance, but then I felt so strongly that I couldn't let it go, I figured I would run and give people the chance to decide," Young said. Young has come a long way from the "green and nervous" political figure she was in the 1980s when she was first asked to run. Now, she holds a deep reverence for the tenets of what it means to be a public servant and elected official. "There have been a couple of things that I've tried to live by. One is to have good ethics. You have to be so careful not only about having the ethics, but sometimes there's the appearance of doing something wrong, which is sometimes almost as bad as doing it," Young said. "You cannot go in with a personal agenda. You can't go in expecting to get something out of the position." Columbia City Administrator Leahnette Rivers, who has worked with Young for years, said that Young's diplomatic approach to holding public meetings and listening to residents is a great skill. "She's done a great job as mayor. Her ability to listen, to let people feel like they are being heard during a meeting, especially one where there may be a lot of controversy or frustrations, it's top notch," Rivers said. "She has the ability to be patient and work through difficult situations with a crowd." Young said it will be hard to leave the mayor's office, as well as let go of some of the responsibilities she's taken on over the years with the city and, eventually, the St. Helens Senior Center. "It's been like family. I've always treated those positions as such. We've had good staff and I couldn't have asked for anything better," Young said. Young's elected term ends Dec. 31. One person has filed to run for Columbia City mayor — Casey Wheeler, executive director of the Columbia Pacific Food Bank. Columbia City staff will be hosting an open house at the community center on Dece. 31 from 3 to 5 p.m. to celebrate Young and her dedication to the city. "She will missed," Rivers added. "She's done a great job in this community."